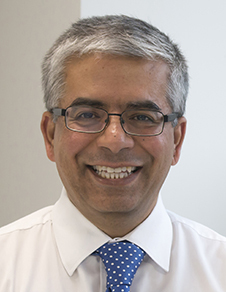 We speak with Aftab Hussain, strategic information learning technology lead at Bolton College, about how the college uses data to provide every student with a personalised AI assistant, his plans to reduce administrative workloads for teachers, and what he thinks about Education 4.0.
Who is Ada the chatbot? Ada (named after Ada Lovelace) is our chatbot for Bolton College. The college uses its student dataset to create a personalised, AI-driven assistant for each student. It’s all based on data and analytics, and it is part of the college’s desire to increase the use of AI to inform what we do. She’s part of a suite of cognitive services that are redefining how students, teachers and support teams access day-to-day services at Bolton College. Students can log on to the student home page at any time of the day or night to ask Ada specific questions about their studies, such as “can you show me my timetable?”, “when does my work placement start?”, and “have I got any exams coming up?”. At the start of the last two academic years, we logged more than 1,000 students a day asking about classes, timetables, college services and more. With generous support from the Ufi Charitable Trust, we are now developing the same service for staff, which will enable teachers and support teams to garner on-demand information on student progress. We hope this will save colleagues time and simplify access to information which may be held across a number of systems around the campus. The college’s use of conversational or voice-first services is going beyond the web-based chatbot service. We are making good progress with the development of our iOS and Android apps for the Ada service and, by February 2019, students and teachers will be able to pick up their smartphones and ask Ada for answers to a myriad of questions. We recently published an Alexa skill for our chatbot service, so students and staff can now ask their Amazon Echo smart speakers about college services - effectively engaging with their own personalised assistant wherever they are. Our services are designed to save time, which will allow staff to focus more readily on supporting students. We estimate that, over time, the service could save staff a day each week. We estimate that, over time, the service could save staff a day each week. Do you use any of the data to support student wellbeing? Yes, we do. Very early in the project we asked the college’s mental health team how the chatbot should respond if a student asked a question around their mental health. For example, if a student has been made homeless or is struggling with stress, or self-harm, the chatbot service will respond with links to appropriate online information and the contact details for the college’s mental health team. We are also improving the service so that our mental health unit is automatically notified when students are seeking further advice and support on these matters. What are your future AI plans for Bolton College? Our goal is to roll out multiple services that leverage the use of AI or cognitive services that will help our students, teachers and support teams. Firstly, we are developing an automatic marking service for our work experience programme. We hope the service will improve the quality of work placement evaluations that all students complete at the end of their placement and also to reduce the workload of our career coaches who are tasked with monitoring and signing off more than 1,700 students who undertake a work placement each year. Secondly, we want to make use of services that will enable us to automate the production of reports. These could include the production of daily or termly student report cards, or the production of management reports. Thirdly, we want to make use of process automation to support colleagues and students with day-to-day activities and workflows. How did this all start for you? It’s been a natural evolution. My background is quite varied. I’ve managed tech, data, and online learning teams in other organisations and have worked on all the major strands of learning technology on campuses over the past 20 years. The great thing is that technology has come so far in the past few years and we’ve been able to capitalise on the advancements and create some really helpful services and projects for the college. Who makes up your development team? Our team is six strong, so not large. However, in the FE sector in the north west, where a number of colleges have had to reduce their learning technology teams, we’ve invested to keep hold of ours and that’s paid dividends over the last few years. One of our team philosophies is to create “calm technology”. Some of the features of calm technology include its ability to reduce complexity, simplify everyday tasks and routines, perform complex tasks in the background, its capacity to support conversational services and more. What advice would you give to other organisations who want to introduce AI driven edtech? I’d say collaboration and communication are key. What we’ve found is that teams have to work closely to bring about these services. For example, our data team works closely with the learning technologies team to develop and deliver our AI services, and we all keep the IT team informed so they’re aware of potential demands on the network. We have a digital strategy group, and operational groups beneath that, and they bring the various strands of our digital strategy together harmoniously. Some technologies are too expensive and can only be rolled out to a few students on campus, so we concentrate on creating services that add value at scale. A key approach for us is that we try not to get distracted by all the new shiny technologies and potential services, but instead focus on making a few things work incredibly well. We’re a small team on a small campus, so we concentrate on what we’re good at. It’s certainly working, judging by the student feedback! Of course our teams are hugely busy, but the end user experience for staff and students is seamless, and that’s what matters. we try not to get distracted by all the new shiny technologies and potential services, but instead focus on making a few things work incredibly well. What does Education 4.0 mean to you? For me, 4.0 is all about using new tools to solve old problems. It’s about creating new models for delivering education services and providing super-personalised, contextualised and tailored solutions for all staff and students. AI as the main tool, and data makes AI services a lot more powerful. What does the future have in store for edtech and AI? Right now we have a chatbot. I think in the future that chatbot will morph into a personal cognitive assistant that supports students throughout their entire educational life, from nursery school to university and beyond. The personal assistant will learn from each student throughout their life and adapt according to what they like, while guiding them through studies. It could remind when homework is due, book appointments with tutors, and point towards services and events that might support studies, for example. I like to think that we’re a year or two away from that sort of technology becoming commonplace within the FE sector. Follow Aftab on Twitter (@Aftab_Hussain) to keep up with edtech news from Bolton College. Aftab will be running a session on day one of Digifest. Join us in Birmingham to hear more about Bolton College have created and used their Ada chatbot, including demonstrations.